If you experience a problem with your Vivitar point and shoot camera, you may see an error message, or you may experience problems where the camera provides no visual clues. With or without an error message on the screen use these tips to solve the problem with your Vivitar point and shoot camera. If you see either of these messages, you may have a new memory card that contains no photos and needs to be formatted. If you know the memory card is not full and contains some photos when you see this error message, the Vivitar camera simply might not be able to read the memory card. You’ll need to format the card. Just make sure that you’ve downloaded any photos from the card before you format it because formatting will erase all files on the card. If the flash will not fire, you might need to change a couple of settings on your Vivitar camera. First, make sure the camera is not in “macro” mode, which can cause some Vivitar cameras to turn off the flash. Additionally, the flash may have been turned off manually through the camera’s menus. Change the flash setting to “automatic” to fix this problem. Both of these error messages nearly always refer to a lens that will not extend. Try shutting down the camera, removing the battery, and waiting 10 minutes. When you replace the battery and turn on the camera again, the lens may extend on its own. Otherwise, try to make sure the lens housing is clean and free of particles and grime, both of which could cause the lens to stick. It’s also possible that the lens mechanism has failed, which is an expensive repair. With some Vivitar cameras, if you do not have a memory card installed, the camera only temporarily saves photos in internal memory. Once you power down the camera, the photos are automatically deleted. Make sure you’re using a memory card to avoid this problem. If you have a low battery with a Vivitar camera, you can experience a host of problems. The camera might not turn on or may turn itself off, even though you have not pressed a button. If the camera is trying to save a photo when the power becomes exhausted, the photo may not be saved or may become corrupted. Either recharge the battery or replace the AA or AAA batteries immediately to avoid significant problems. With an SD memory card, you will have a write-protect switch on the side of the card. Move the switch to the “unlock” position to allow the camera to write photos to the card again. If the Vivitar camera is shooting images that often seem to be blurred, it’s possible that the camera’s autofocus system just isn’t able to work as quickly as needed to create a sharp image. Try pressing the shutter button halfway to pre-focus on the scene whenever possible, and then once the camera has achieved a sharp focus, press the shutter fully. Unfortunately, Vivitar doesn’t make the greatest cameras, which is one of the reasons they’re so inexpensive compared to other brands of cameras. 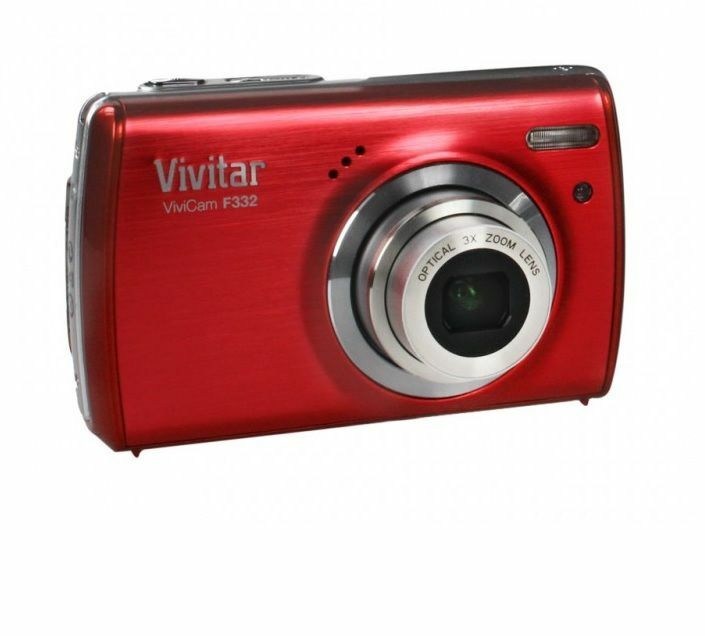 So it’s very possible that your Vivitar camera just cannot record photos at a quality that you’d expect. Or if you’ve ever dropped the camera, it’s very possible that it has become damaged to the point where it no longer can record photos of the quality you need.